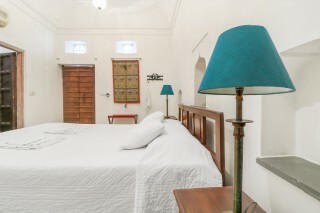 Situated just 2.4 km from Amer Fort, this is an offering of a private room in a boutique stay, which can accommodate up to three guests. The property features a spacious parking area, which makes parking convenient for those on a road journey. 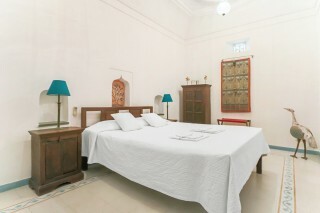 Your Space Perfect for a solo traveller looking to stay in the heart of the city, this abode boasts traditional dcor. The property has a characteristic courtyard, which is dotted with myriad plants, vibrant glass lanterns, and archaic wooden doors and windows. This space features modern dinettes, thereby making mealtimes convenient. The courtyard also flaunts a gazebo sit-out and patio seating, where you can interact with travel companions. A small area highlighted by luxuriant plants, a brick pathway, comfy chairs, and a sofa makes for an ideal place to savour a cuppa and enjoy interesting conversations. 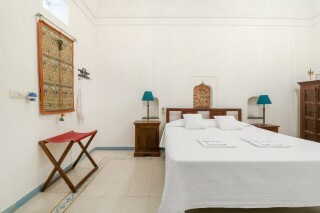 The room on offer has ivory-hued walls, which lend a soothing touch to the space. 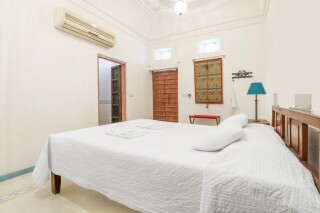 The air-conditioned room is furnished with a comfy double bed with bedside table lamps for reading convenience and old-fashioned wooden cabinets. Additionally, wall hangings and animal figurines also lend a distinct character to the space. The attached bathroom is well tiled and fitted with modern sanitary ware. Guest Access Feel free to explore the garden and the terrace when you are not in your room. Guest Interaction Feel free to reach out to the caretaker present in case you need any assistance.Local help is provided on request. Neighbourhood Overview Nahagarh Fort is located 13.2 km from the property. 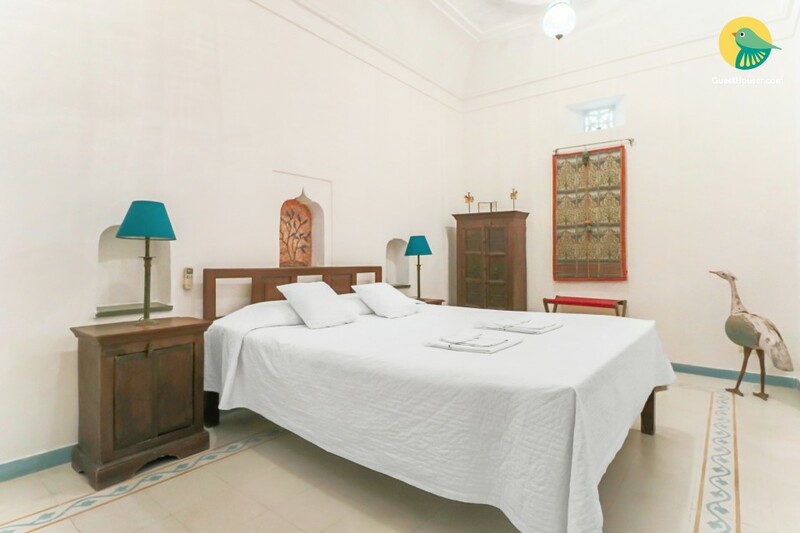 These are some of the other attractions nearby that guests can explore: Hawa Mahal - 11.5 km Jal Mahal - 6.4 km The Rajput Room - 17.5 km Elephant Village - 3.4 km Nahargarh Biological Park - 6.8 km Getting Around The property is located 2.1 km from Amer Bus Stand, 16.8 km from the railway station, and 24.5 km from the airport. Additional Information Guests are required to provide valid ID proof at the time of check in. Amenities listed below are available and separately charged: -Kitchen -Tour guide -Laundry. 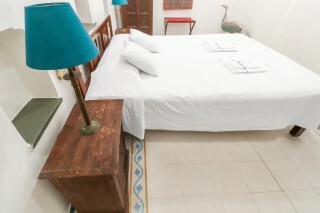 Breakfast is complimentary here and other meals can be provided at additional charges. If you feel like hosting a party, all arrangements can be done at an additional charge. Please refrain from playing loud music.